For I will not turn away from him who comes to Me …. Lent is the liberation of our enslavement to sin, from the prison of “this world”. And theGospel lesson of this last Sunday (Matt. 6: 14-21) sets the conditions for that liberation. The first one is fasting – the refusal to accept the desires and urges of our fallen nature as normal, the effort to free ourselves from the dictatorship of flesh and matter over the spirit.To be effective, however, our fast must not be hypocritical, a “showing off”. We must “appear not unto men to fast but to our Father who is in secret”. The second condition isforgiveness – “If you forgive men their trespasses, your Heavenly Father will also forgive you”. The triumph of sin, the main sign of its rule over the world, is division, opposition, separation, hatred. Therefore, the first break through this fortress of sin is forgiveness: thereturn to unity, solidarity, love. To forgive is to put between me and my “enemy” theradiant forgiveness of God Himself. To forgive is to reject the hopeless “dead-ends” of human relations and to refer them to Christ. Forgiveness is truly a “breakthrough” of theKingdom into this sinful and fallen world. The Dread Judgment! The Judge comes in the clouds, surrounded by a countless multitude of bodiless heavenly powers. Trumpets sound to all the ends of the earth and raise up the dead. The risen regiments pour into the preordained place, to the throne of the Judge, having a foreboding of what verdict will sound in their ears. For everyone’s works are written on the brow of their nature, and their very appearance will correspond to their deeds and morals. The division of those on His right hand and those on His left is accomplished in and of itself. At last all has been determined. Deep silence falls. In another instant, the decisive verdict of the Judge is heard: to some, “Come,” to the others, “Depart.” “Have mercy on us, O Lord, have mercy on us! May Thy mercy, O Lord, be upon us!” they shall say, but then it will already be too late to plead. We need to take the trouble now to wash away the unfavorable marks written upon our nature. At the Judgment, we may be ready to pour out rivers of tears in order to wash ourselves, but this would do us no good then. Let us weep now – if not rivers of tears, then at least streams; if not streams, then at least drops. If we cannot find even this much, then let us become contrite in heart, and confess our sins to the Lord, begging Him to forgive them, and promising not to offend Him any more through the violation of His commandments. Then, let us be zealous to faithfully fulfill this promise. The Sunday of the Prodigal Son says so much to us! It speaks about our peace and abundance in the house of the Heavenly Father, about our mad departure from the Father’s guardianship to unbridled freedom, about the richness of the heritage given us despite our disobedience, about its reckless waste on all sorts of indecencies, and about our utter impoverishment as a result. But then it talks also about how one recovers his senses and coming to himself, decides to return to his greatly merciful Father. It talks about how he returns, how he is received. lovingly and is restored to his first state. Who will not find this lesson profitable? If you abide in your Father’s house, do not strive for freedom. You see how a similar experience ended! If you have run away and are squandering all, stop this quickly. If you have already squandered everything and are living in poverty, resolve quickly to return – and then, return. There every lenience and the former love and prosperity await you. This last step is the most necessary one. But there is no point in enlarging upon this. All has been said concisely and clearly. Come to your senses, resolve to return, arise and hasten to the Father. His embrace is open and ready to receive you. This parable is read in church as believers are beginning to prepare themselves for Great Lent, the time of repentance. And perhaps nowhere else in the gospels is the essence, of repentance better revealed. The prodigal son left home and went into “a far country,” and it is this “far country,” this foreign land which shows us the deepest essence also of our own life, of our own condition. Only if we have understood this can we begin the return to authentic life. The person who has never felt this distance, even once in his life, who has never felt himself to be in a spiritual wasteland, separated, exiled, can never understand the meaning of Christianity. A person who is totally “at home” in this world, who has never experienced longing for a different reality, cannot comprehend remorse and repentance. These are not simply the formal enumeration of one’s shortcomings, mistakes and even crimes. No, remorse and repentance are born from an experience of alienation from God and from joy in communion with him. It is relatively easy to admit my mistakes and shortcomings, but how much more difficult it is suddenly to realize that I have broken, betrayed and lost my spiritual beauty, that I am such a long way from my true home, from my true life; that something in the very fabric of my own life, something priceless, pure and beautiful has been destroyed and torn apart. But this realization is precisely repentance, and therefore necessarily involves a deep desire to go back, to return, once again to find the lost home. Yesterday the Gospel reading taught us persistence in prayer, and now it teaches humility, or the feeling that we have no right to be heard. Do not assume that you have the right to be heard, but approach prayer as one unworthy of any attention, allowing yourself only the boldness needed to open your mouth and raise up your prayer to God, knowing the Lord’s boundless condescension toward us poor ones. Do not even allow the thought to come to your mind, “I did such and such – so give me such and such.” Consider whatever you might have done as your obligation. If you had not done it you would have been subject to punishment, and what you did deserves no reward; you did not do anything special. That Pharisee enumerated his rights to be heard and left the temple with nothing. The bad thing is not that he actually did as he said, for indeed he should have done it. The bad thing is that he presented it as something special; whereas, having done it he should have thought no more of it. Deliver us, O Lord, from this sin of the Pharisee! People rarely speak like the Pharisee in words, but in the feelings of their heart they are rarely unlike him. For why is it that people pray poorly? It is because they feel as though they are just fine in the sight of God without praying. Today the Church commemorates an important event in the earthly life of our Lord Jesus Christ (Luke 2:22-40). Forty days after His birth the God-Infant was taken to the Jerusalem Temple, the center of the nation’s religious life. According to the Law of Moses (Lev. 12:2- 8), a woman who gave birth to a male child was forbidden to enter the Temple of God for forty days. At the end of this time the mother came to the Temple with the child, to offer a young lamb or pigeon to the Lord as a purification sacrifice. The Most Holy Virgin, the Mother of God, had no need of purification, since she had given birth to the Source of purity and sanctity without defilement. However, she humbly fulfilled the requirements of the Law. inspiration from above, Saint Simeon went to the Temple at the very moment when the Most Holy Theotokos and Saint Joseph had brought the Infant Jesus to fulfill the Law. The God-Receiver Simeon took the divine Child in his arms, and giving thanks to God, he spoke the words repeated by the Church each evening at Vespers: “Lord, now lettest Thou Thy servant depart in peace, according to Thy word, for mine eyes have seen Thy salvation, which Thou hast prepared before the face of all people, a light to enlighten the Gentiles,and the glory of Thy people Israel” (Luke 2:29-32). Saint Simeon said to the Most Holy Virgin: “Behold, this child is set for the fall and rising again of many in Israel, and for a sign which shall be spoken against. Yea, a sword shall pierce through your own soul also, that the thoughts of many hearts may be revealed” (Luke 2:34-35). The Feast of the Meeting of the Lord is among the most ancient feasts of the Christian Church. We have sermons on the Feast by the holy bishops Methodius of Patara (+ 312), Cyril of Jerusalem (+ 360), Gregory the Theologian (+ 389), Amphilocius of Iconium (+ 394), Gregory of Nyssa (+ 400), and John Chrysostom (+ 407). Despite its early origin, this Feast was not celebrated so splendidly until the sixth century. a more solemn celebration of this Feast. 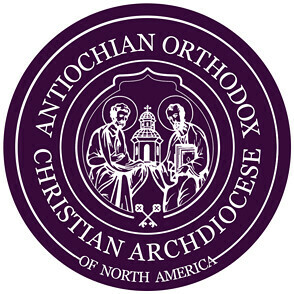 Church hymnographers have adorned this Feast with their hymns: Saint Andrew of Crete in the seventh century; Saint Cosmas Bishop of Maium, Saint John of Damascus, and Saint Germanus Patriarch of Constantinople in the eighth century; and Saint Joseph, Archbishop of Thessalonica in the ninth century.